It seems like a good time to do one of these, since the island is pretty much all figured out! We have been wrapping up a lot of big tasks, working on some cool effects, and doing a bit of polishing and bugfixing. While we still have some things to finish, the island is probably not going to visibly change much anymore. Hey Jon and all the Team of Thekla! I know you’re pretty busy with finishing the game now. But besides the HUGE anticipation for the game itself I also enjoyed the various blog post giving insight into different parts and processes of the game. Most of these have focused either on design issues or graphical stuff. I’d love to read something about the whole audio design, especially since you said the game will not feature any (background) music. Yeah, if you can manage to dish out a little post or two on that topic, that’d be killer! Otherwise, just keep on doing what you are doing! Lol, I hear ya man. I’m stretching out Bloodborne as LOOONG as possible though, in case this game is going to take a bit longer. I’m currently stuck on The One Reborn, that boss fight is a bit of a challenge, to say the least. you can take out those bell ringing ladies on the balcony, took me a few times to realize that. after that it’s not so bad, just slash away at him, jump back when he pukes acid or does that red explosion thing, and jump back in. look at this, Bloodborne strategy tips on the Witness blog. We’re dying here guys! The Witcher 3? That will be something to tie you over. never tried the series. I’ve heard good things, but I tend to stick to new IPs or something I’ve been with from the ground up. unless you REALLY didn’t need to play the others to get into it. Dear Developers, one stupid question came to me. Are you going to release the game on PC via Steam or other method? I have another stupid question, will the game be Mac compatible on release? I am wondering if you have considered to release The Witness as an early access game? This is not something weird or outlandish. I am seeing more and more of these early releases all over Steam, the Humble Bundles and elsewhere. 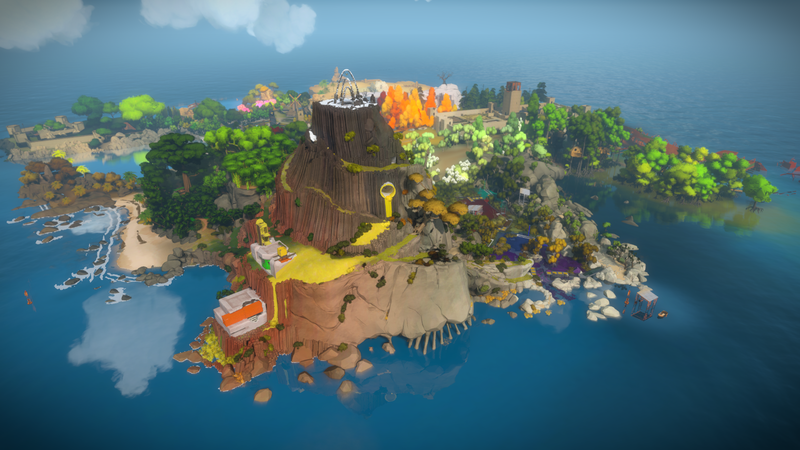 In the case of The Witness, I think it could make a lot of sense: There are many people waiting to play this game, and the money from these early buyers could be used to polish the game to the final state where you want to have it. Hey guys. First comment here. I feel like I’ve been waiting forever since I first heard about The Witness. I honestly can’t wait. But for all the negativity that you guys seem to have drawn from impatient gamers, due to release delays etc, I just wanted to wish you all every success with this game. I just watched Indie Games: The Movie on Netflix, which really does give an insight into what you are all going through professionally, and personally. No surprise that the documentary did focus a fair bit on Jonathan Blow as he developed Braid. It really put things in perspective, and I felt a bit guilty for feeling so frustrated about the delay in the release. Rest assured, I’ll be one of the first in line for this game, no matter how long it takes. Even if it’s not as good as I think it will be (doubtful, considering how good a game Braid was), for the efforts and work you are all putting in on this, I genuinely feel you deserve a success and support from the gaming community instead of all the impatience and frustration of some people. What was the name of this documentary? I’m just casually and patiently waiting for The Witness. =) Bloodborne actually made one month go really fast. It’s time to get back to stalking The Witness’ site. The whole island looks beautiful, and I don’t know why, but I can’t stop looking at that treehouse off to the right. I can’t wait to go straight there. Wow. So many promising first-person puzzle/adventure games are showing up lately. The Witness looks fantastic. Then there’s Obduction, Quern, The Eyes of Ara, The Gallery, Xing, etc… There are so many talented developers but I think Jonathan Blow is a truly exceptional game designer who stands out even in a crowd like this. Braid was nothing short of brilliant, and I’m convinced that when the wait is over, “The Witness” will amaze us all over again.